Apple today released the seventh beta of iOS 10.3 to developers, meaning people around the world are now installing the latest build to come out of Cupertino in order to make sure that nothing Apple changed has managed to break their apps. It also means that people are now sifting through the update to try and work out what, if anything, has changed since the sixth beta landed a few days ago. As it turns out, at least on the face of it, not a lot has changed. In fact, when it comes to visual changes, nothing has been altered this time around at all. That is unusual for Apple during its beta testing phase, and may suggest that we are nearing a public release of the software. Apple is less likely to tweak user interface elements when the update itself is all but ready to ship. The suspicion that little has changed in this seventh beta is backed up by the fact that Apple has issued a changelog that mimics that of previous beta releases. That, along with the fact that this update weighs in at just ~400MB+ when installed over-the-air suggests that very little has changed in this release. This is possibly further proof that final version of iOS 10.3 is just around the corner. 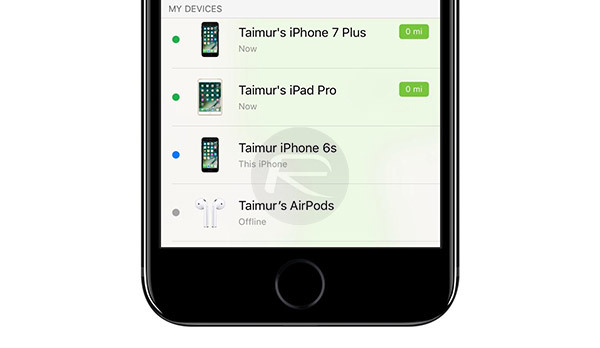 When iOS 10.3 does ship to the wider audience, they can look forward to such things as a feature that makes it easier to find AWOL AirPods as well as Siri support for Cricket scores. 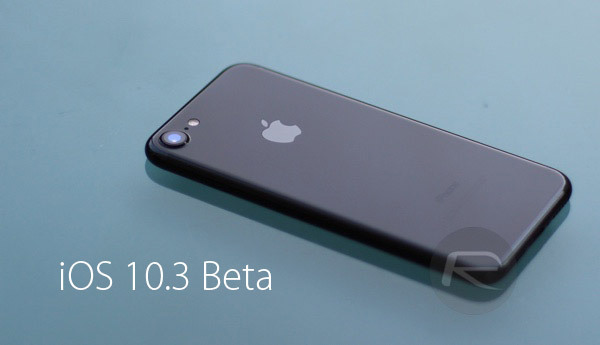 The betas of iOS 10.3 also mark the first time Apple’s new file system APFS has been used on a mobile device, and while there has been no confirmation that this will reach the final version of iOS 10.3, we suspect it will. After all, if it didn’t, there would be a lot of development iPhones and iPads that would need converting back! We expect iOS 10.3 to ship to all compatible iPhones and iPads sooner rather than later. What a trash article. No new substance whatsoever. Have they done anything to fix the Bluetooth stuttering issue? What BT stuttering issue ? Never has any. What phone do you have and do you have LTE service? The iPhone 7 won’t stutter on 3G or 4G. But it stutters when in LTE mode. Allot of of people including myself have been experiencing this. Careful, they’ll be an RP article in a couple of days “how to fix (non-existent?) stuttering issue” which will involve turning Bluetooth off and on, rebooting, unpairing and re-pairing, or restoring from a backup. Which will some how get dragged out into a 1000 word article. I didn’t realize that LTE was the culprit. That’s good to know. Thanks! I wish they could give us option to get rid of the BLUR DOCK….and the 3×3 folder…..
4G is LTE?… same thing. Verizon LTE, iPhone 7. Zero BT issues. This article summed up into 12 words, including the title. This website is seriously grasping for straws.